Vorarlberg, the westernmost Austrian province that borders Switzerland, is one of the most mountainous parts of the country. With its snowy alpine climate, dramatic scenery, and deluxe ski resorts, Vorarlberg is a very popular winter vacation destination. Lech and Zürs are very sophisticated and expensive ski resorts located on the Arlberg range. More low-key, but also offering excellent skiing facilities, are the Montafon Valley and Bregenz Forest (Bregenzerwald) areas. The Bregenzerwald is also known for its pretty alpine villages, of which the best known is Schwarzenberg. 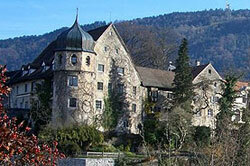 Other attractive Vorarlberg towns include Bludenz, Dornbirn, and Feldkirch. Vorarlberg's capital is Bregenz, a pleasant city upon the shores of lovely Lake Constance, which is the third-largest freshwater lake of Central Europe. Bregenz's old town, known as Oberstadt, is a quiet residential quarter where you can see the city's major landmark, the Martinsturm (Tower of St. Martin), and the neighboring Martinskappelle. The city celebrates the annual summer Bregenz Festival, where opera shows are presented upon a massive floating stage on Lake Constance. If you are thinking of settling in Vorarlberg, take note that apartment rentals here are, on average, the most expensive among Austria's provinces.